The first and most familiar option for your breakroom is a traditional vending service. 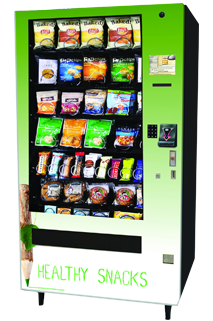 Healthy Vending New York will install a beverage and/ or snack machine with the healthy snack or beverage items of your choice. Your employees purchase them directly from the machines when they want a healthy snack to reenergize throughout the work day.